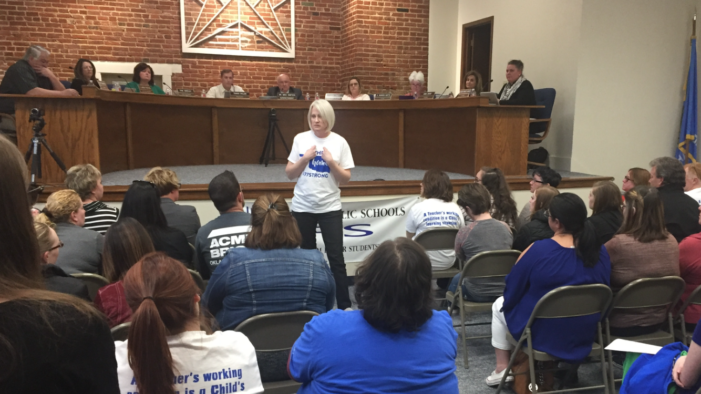 Teachers, parents, students and school board members with the Guthrie school district discussed the ongoing teacher walkout for public education at a school board meeting on Monday evening. 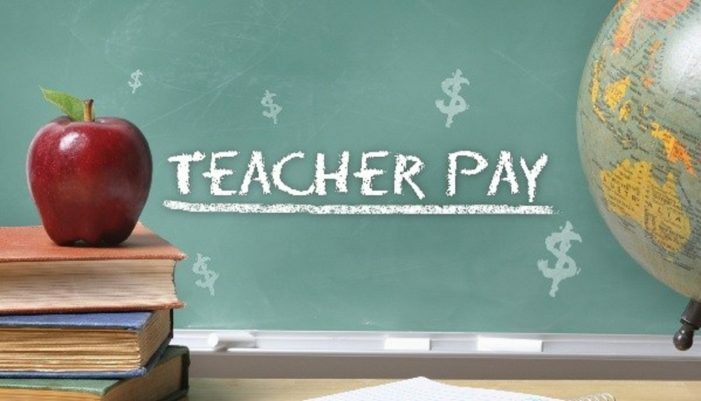 Guthrie Public Schools announced they will not hold classes on Tuesday, April 10 as teachers continue to hold out for education funding. 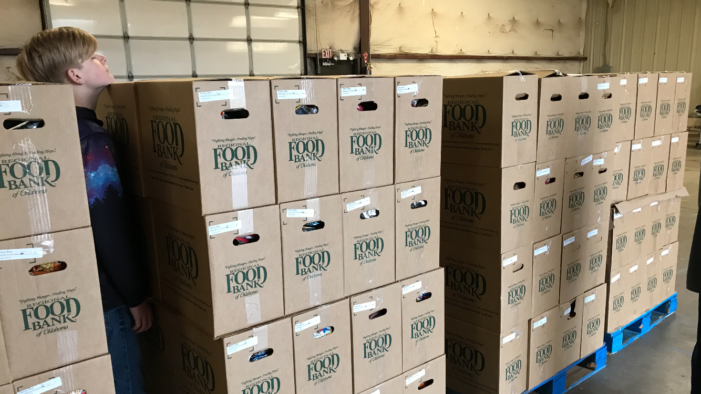 Boxes and boxes of food arrived in Guthrie to help students with meals as teachers continue to rally for public education. Guthrie Public Schools also continues food services for students. 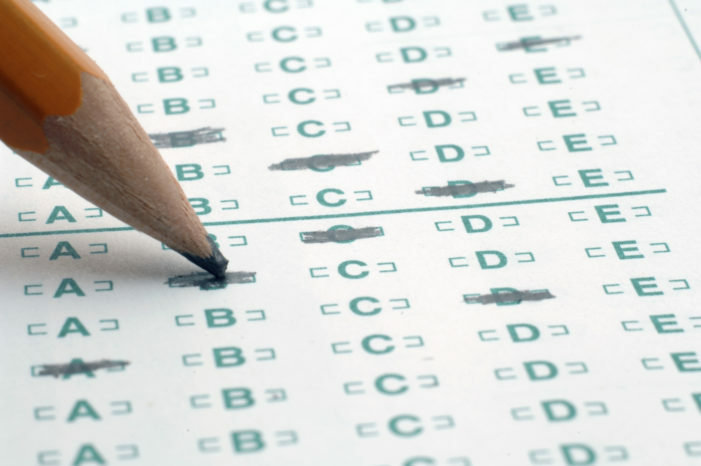 OKLAHOMA CITY – As Oklahoma’s statewide teacher walkout has continued past one week and districts representing the majority of students have announced school closures into a second week, State Superintendent of Public Instruction Joy Hofmeister today announced the extension of the Oklahoma School Testing Program schedule, which began April 2. 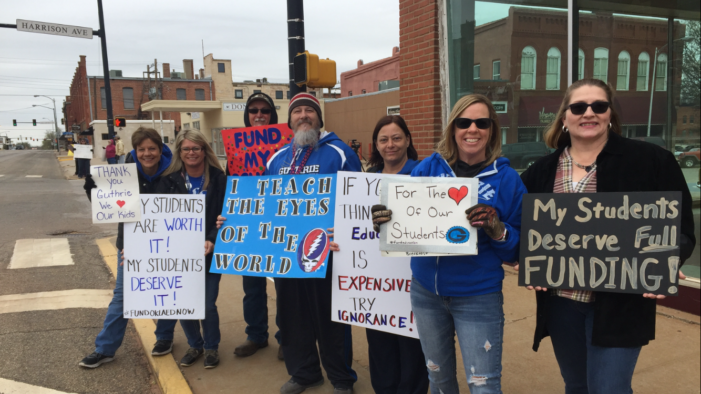 Local teachers took a weekend break from the State Capitol and took to the streets of downtown Guthrie for support in public education funding. At least one more day of classroom instruction will not be held for the Guthrie school district as teachers continue to hold out for education funding. 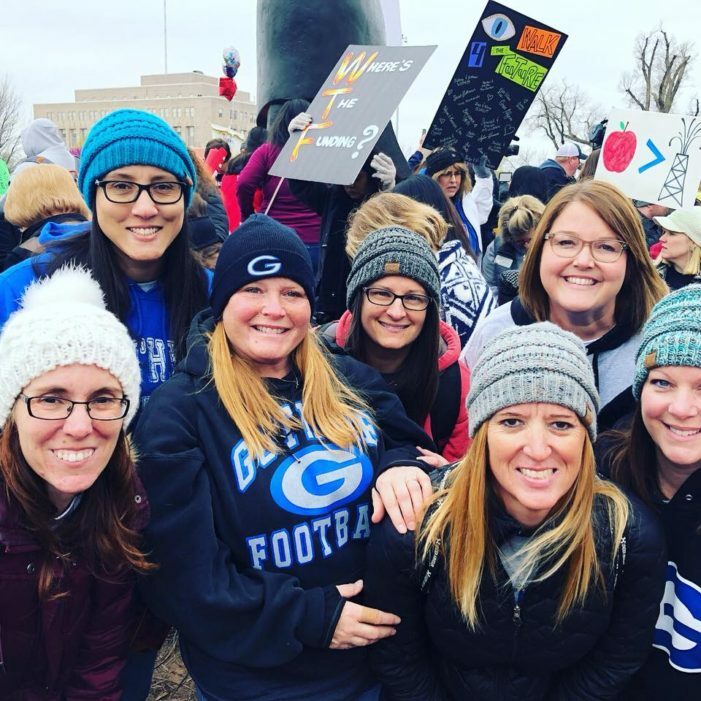 Guthrie Public Schools has canceled classes for the rest of the week as teachers continue to fight for an increase in education. 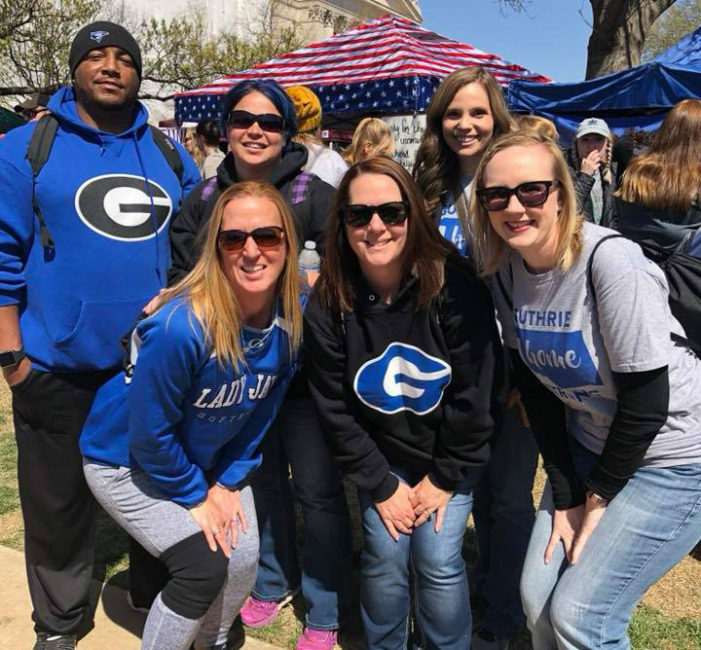 Guthrie school teachers have traveled to the State Capitol for two straight days and many say they are headed back for a third day. 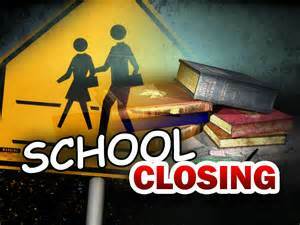 As educators from Guthrie and across the state continue to call for an increase to education funding, Guthrie Public Schools is canceling classes for Wednesday. 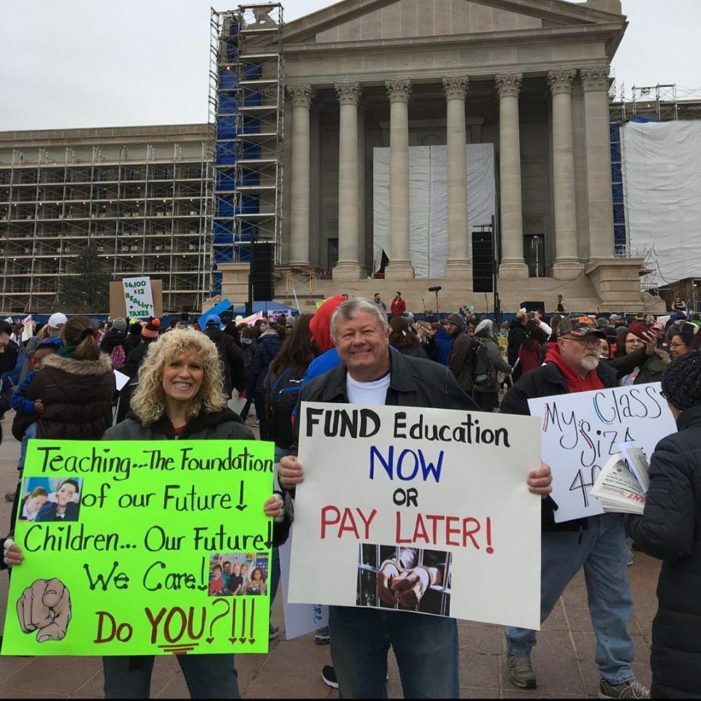 Guthrie school teachers Rhonda Gillett and Ron Gillett were two of several who made their way to the State Capitol on Monday. Guthrie Public Schools will cancel classes for the second day in a row for the teacher walkout. Guthrie students will not be in their classrooms on Monday, April 2 after the school district announced they’re closing due to a teacher walkout. 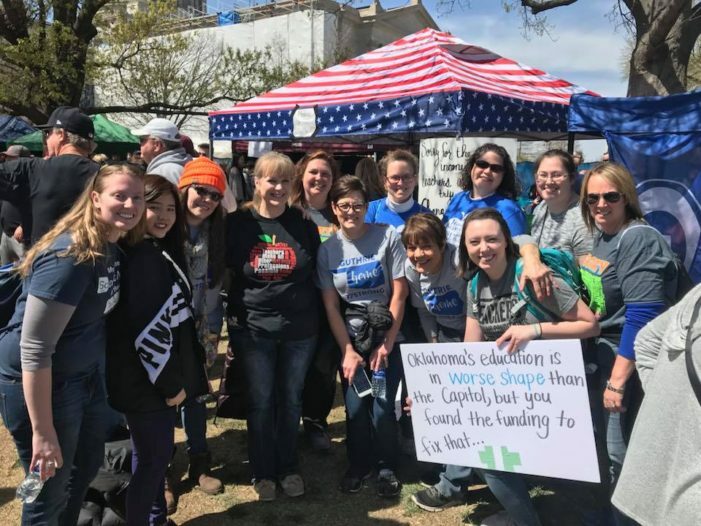 If Guthrie school teachers decide to walk with other state-wide teachers on April 2 due to the lack of funding, athletics and ACT testing will go on as scheduled for Guthrie Public Schools. The school district has also established a meal plan for students. 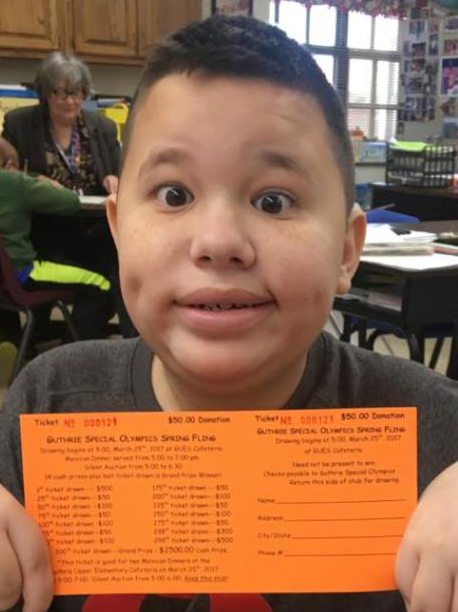 The Guthrie Special Olympics Spring Fling is drawing closer to the April 14 date and there is still time to be a part of one of the most popular fundraising events of the year. Thanks to Shelby Vreeland spearheading a Valentine’s special delivery, nearly 200 residents inside Guthrie nursing homes received Valentine cards. 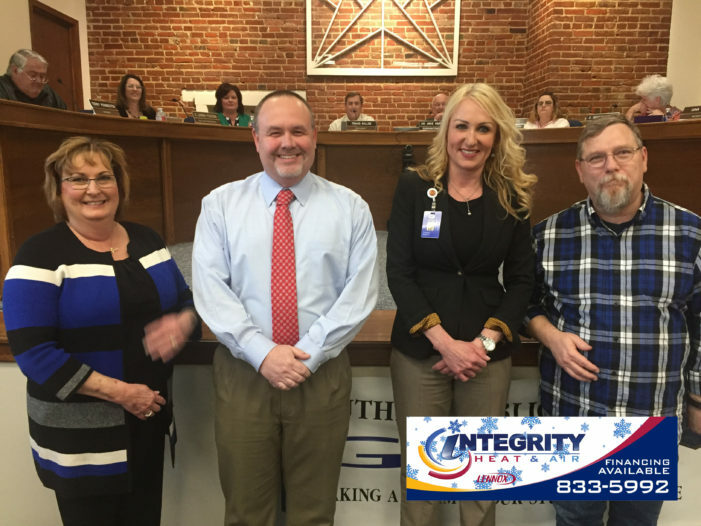 Guthrie Public Schools recognized their latest support and certified employees of the month with recognition at the Board of Education meeting on Monday evening. 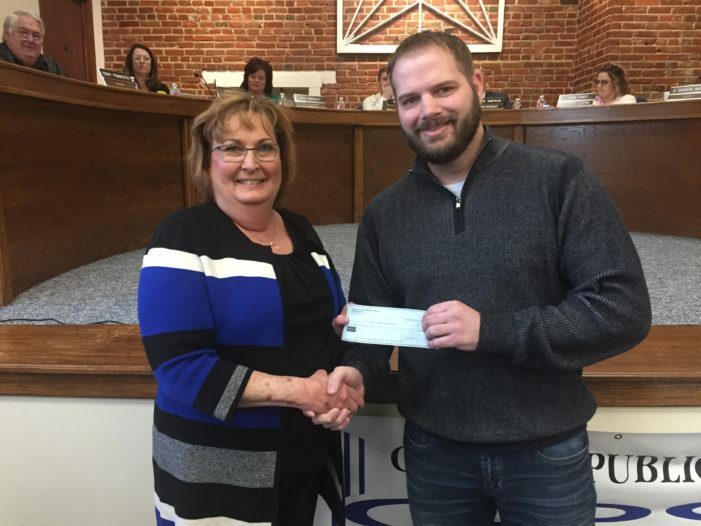 Manager Brian Billings and his Sonic franchise, located at I-35 and Highway 33, gave their most recent generous donation to Guthrie Public Schools. 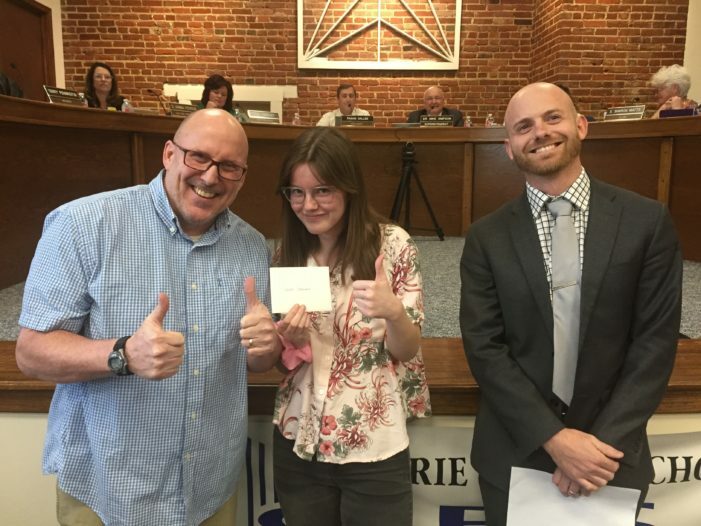 This year benefiting from the gift is Guthrie Upper Elementary School. 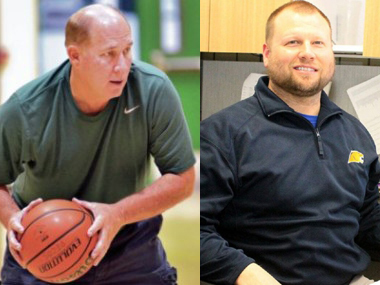 Guthrie High School will be searching for both a boys and girls head basketball coach for next season. The positions became available after both resignations were approved by the Board of Education. Guthrie Public Schools approved the elementary attendance zones as they begin neighborhood schools next school year. 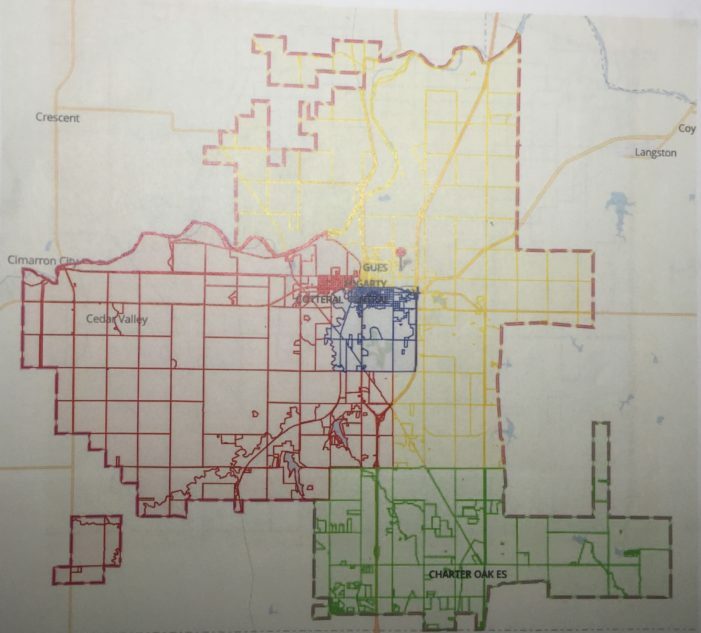 Guthrie Public Schools adopted their first elementary attendance zone map as the school district begins the transition of moving to neighborhood schools. The map will help determine what school building each student will attend next school year. 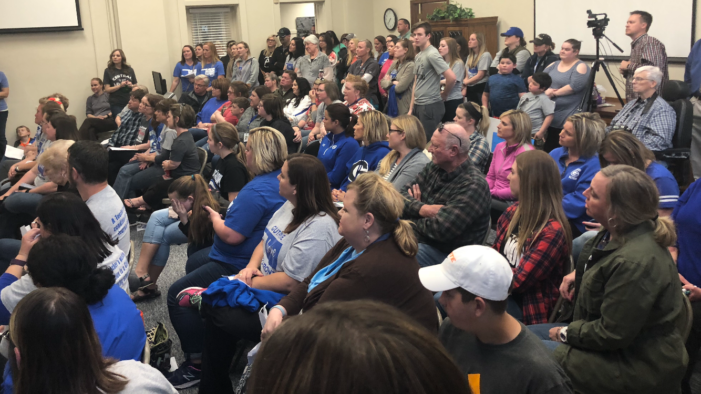 Many Guthrie school teachers and community members packed the administration building at Monday night’s school board meeting to voice their anger, concerns and the potential of teachers walking out of their classroom next month. School board members spoke and are standing behind their teachers. 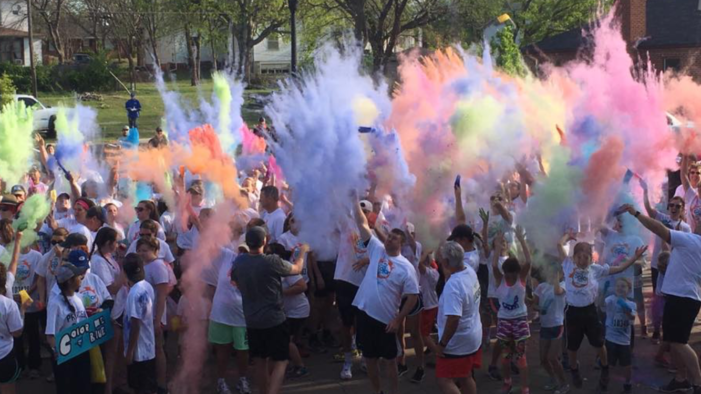 The students and staff of Guthrie Junior High School will host the second annual Color Run in honor of Lexi Hastings. The run will be held on April 7 at 9 a.m. to raise money for their LEARN2LOVE initiative. 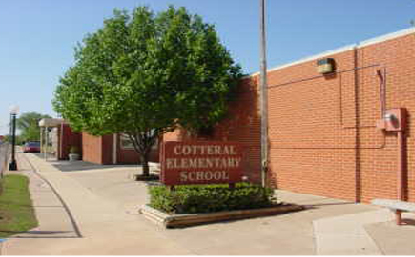 Cotteral Elementary will be hosting Pre-K and Kindergarten pre-enrollment on April 2 for students currently not enrolled with Guthrie Public Schools.